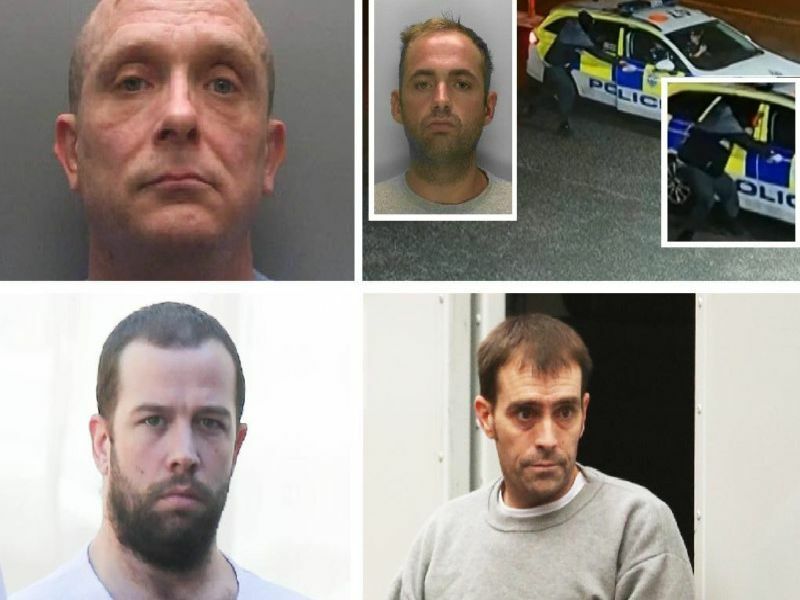 A bitter husband who shot his estranged wife and her mother, an armed robber who tried to escape in a police car and a mum who lied about having cancer and stole £130,000 are just some of the most shocking court cases in Sussex in 2018. Here is a roundup of some of the most serious crimes and convictions in Sussex in 2018. All sentencing details accurate at time of convictions. James Poole, 24, stole a car and led police on a lengthy 100mph car pursuit through St Leonards. Poole was jailed for 20 months and banned from driving for four years and ten months. Asha Dawes, 22, lied about having cancer and faked bank statements so she could steal more than 130,000 from her loving family. The young Goring mum was jailed for four years. Drug supplier Bradley Allen (right) was jailed for 15 years and enforcer Tommy Howlett (left) received a sentence of 22 years for attacking Wayne Heys in Durrington. Both were cleared of attempted murder but convicted of grievous bodily harm with intent.